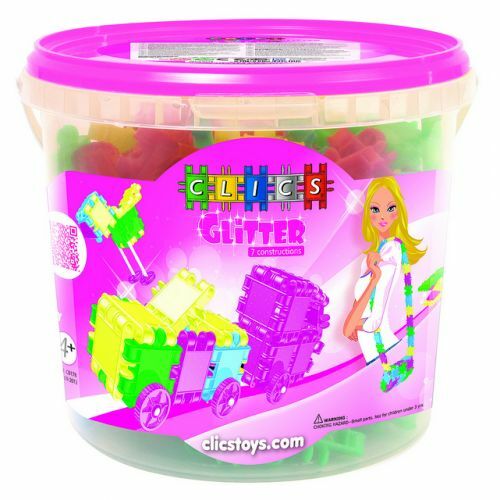 NEW - Bucket has 175 glittery pieces including accessories and instructions to build everything from animals to pirate ships. Discover the fun of playing with Clics. Bright colourful bricks that will foster the creativity of your kids. Box Includes; 175 Clics & accessories.